The index opened flat and after making an initial high saw huge profit booking to the lows of the day at 7789 but closed flat at 7849.80, small gain of 2.55 points. The broader market though was negative with 693 advances to 837 declines. At the start of the series the range comes to 7700-8200. Call option 7700-8400 added 49.08 lacs OI with small short covering seen at 7600 and below strike prices. 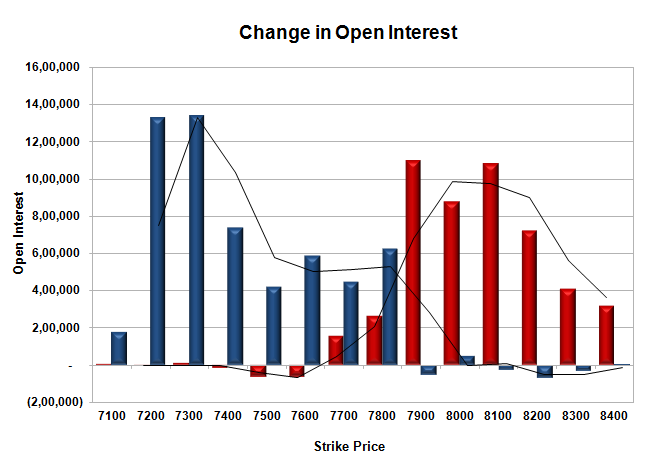 Put option 7800-7100 added 56.29 lacs OI with small short covering seen at 7900 and above strike prices. Nifty Open Interest is at 2,06,61,825 up by 5,25,375, with no change in price, most probably huge short/long build-up. 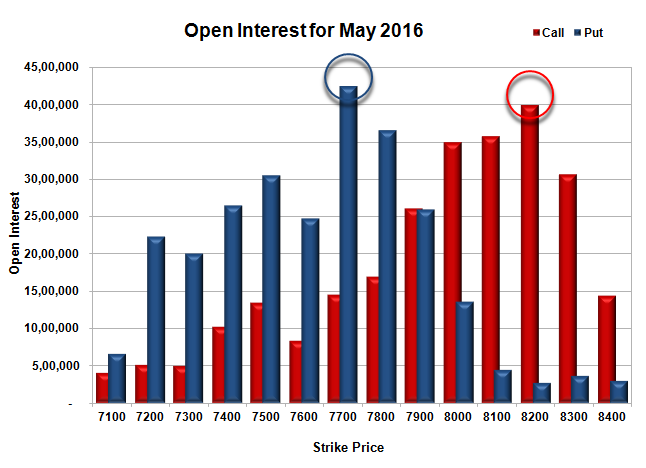 Bank Nifty Open Interest is at 17,76,810 up by 1,22,040, with increase in price, most probably huge long build-up. FII’s sold 5034 contracts of Index Futures, which includes net 1164 contracts long liquidation and 3870 contracts short build-up, with increase in net OI by 2706 contracts, includes 26821 longs to 31855 shorts for the day. FII’s Index future open contract as on date is 218948 Longs to 76667 Shorts, Net 142281 down by 5034 contracts. Initial support at 7800, with OI of 36.57 lacs and below that at 7700 with highest OI of 42.45 lacs. 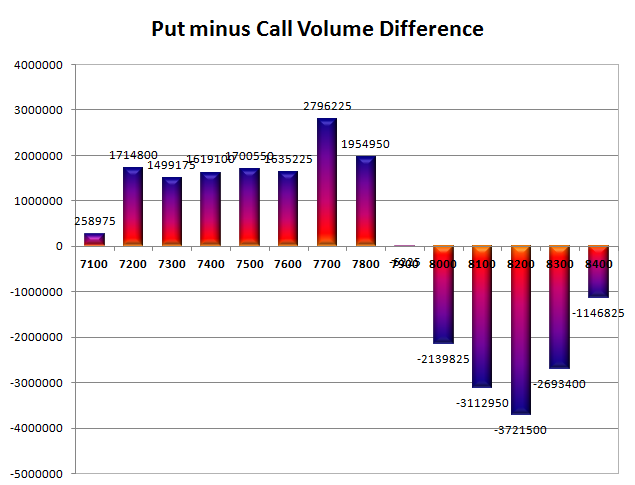 Initial resistance at 7900, with huge OI addition of 10.96 lacs and above that at 8000 with OI of 34.97 lacs. 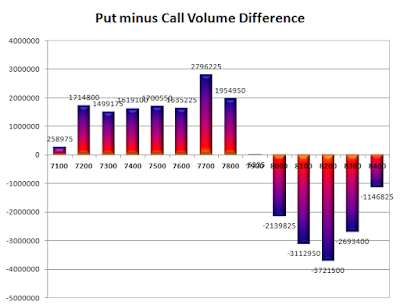 Day Range as per Option Table is 7772 - 7918 and as per VIX is 7782 - 7918 with 7843 as the Pivot.